Rei Design and Planning Inc. All Rights Reserved. In addition to those in Japan, our library of observation data on transportation facilities covers major cities in the world. 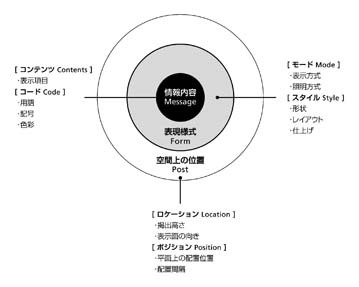 Design theories to develop easy-to-see-and-recognize visual elements by Tatsuzo Akase, president of the office, have been introduced in the “Guidebook on Sign Systems of Public Transportation Systems and Tourist Facilities in 2001” published by the Foundation for Promoting Personal Mobility and Ecological Transportation. Lectures on the theories are delivered every year at Chiba University, Chiba Institute of Technology, College of Land Infrastructure, Transport and Tourism etc. 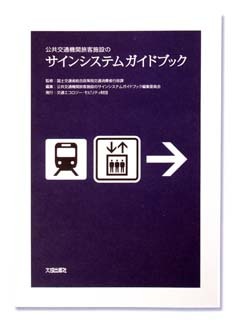 During the 30 years of our engagement with Tokyo Metro Co., Ltd. since 1972, we proposed the creation of the sign system consisting of direction signs, identification signs, and diagrammatized signs. The new sign system with symbol colors for each line, yellow to show exits, and large maps was deployed at each subway station of the company. The system later became the standard sign system for all railway services in the country. In designing the gateway building of Kokkai Gijidomae subway station which was completed in 1996, we took note of the concept of spatial sign and devised a structure through which natural sunlight reached underground. Because of this, passengers can feel that the ground surface is close while being in the underground. For Roppongi Hills which was opened in 2003, we developed a sign system, making some improvements after Roppongi Hills had begun its services, to guide visitors to reach the scattered commercial facilities with greater ease. The direction to the subway station is also shown to help visitors find their way home easily after enjoying shopping. 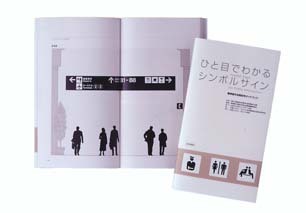 For the Tokyo Big Sight International Exhibition Center, the renovation of which finished in 2004, we devised signs to clearly show the directions for entrances and exits to help first-time visitors move about without wandering. After the revision of the sign system, the number of complaints from visitors decreased sharply. Yokohama Station is a huge terminal station in which six railway lines are operating and two million passengers come and go every day. In 2010, the free concourse of the station connecting these lines was developed after a ten-year long period of construction. Here, common signs were installed for the first time in Japan. Guide signs for the terminal as a whole were communalized across the borders of railway companies. We renewed the sign system for the Takamatsu Symbol Tower which was refurbished in 2010. The existing signs were too retiring to architectural expressions and were hard to read. It is not possible to communicate the functions of a complicated facility with architectural expressions. With the new signs, the long-pending issue of identifying prefectural, municipal and private facilities was realized. For future city development and facility development, buildings equipped with advanced communication systems are required. At the same time, the high quality maintenance and longer use of the existing urban environment and facilities will also be demanded by improving them with the competence of sign designers. We will proactively address this task through our design work.